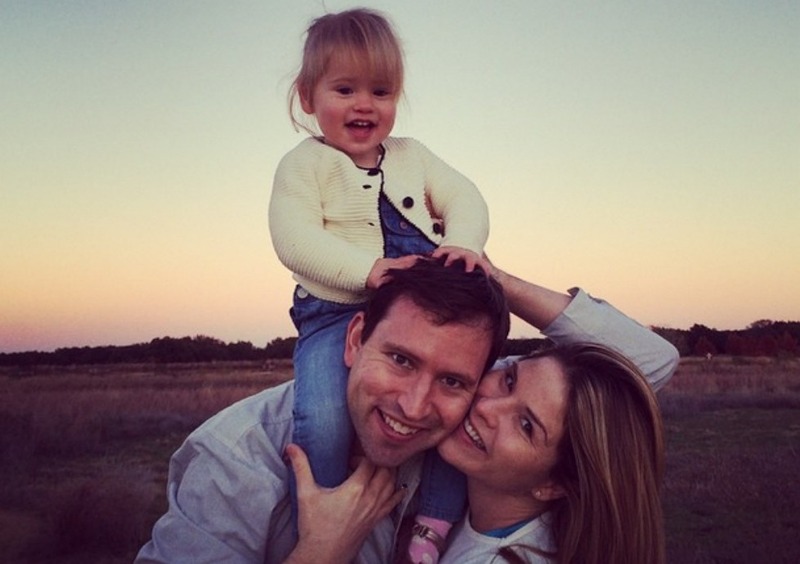 Former first daughter Jenna Bush Hager announced on The Today Show that she is expecting her second daughter, in an adorable video that aired live on the morning talk show. It’s another daughter for Jenna Bush Hager, which means former President George W. Bush and former first lady Laura Bush are gearing up to be grandparents for the second time. Bush Hager is 20 weeks along and is expecting her baby girl in August. Feel so lucky that we're adding another precious, precocious little girl to our family. My heart is full. The Today Show correspondent made her baby announcement in a video that aired on the show. In the clip, Bush is sitting with her with 2-year-old daughter, Mila, on her lap, and she asks, “What’s in there?” as she points to her stomach. “A baby sissy,” Mila says sweetly. Bush Hager teared up as she watched the clip, and Today hosts Natalie Morales and Matt Lauer ran over to give her hugs and to congratulate her. The former first daughter, who wed her husband, Henry Hager, in 2008, told her parents the happy baby news the day after Christmas. She said the grandparents, whom Mila calls “Grammy and Jefe,” are “thrilled” at the baby news. “Mila is so bossy! She’ll be like, ‘Jefe, sit down! Grammy, come here!’ and they do whatever she says. They can’t get enough of her,” she shared.